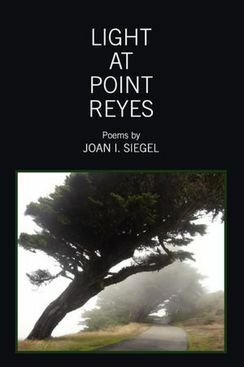 Author of Hyacinth for the Soul (Deerbrook Editions, 2009); A Passing (Deerbrook Editions, 2014), Light at Point Reyes (Shabda Press, 2012) as well as co-Author of Peach Girl: Poems for a Chinese Daughter (Grayson Books 2002), Joan I. Siegel is recipient of Poetry Quarterly's Rebecca Lard Award, New Letters Poetry Award and the Anna Davidson Rosenberg Prize. A finalist for the Pablo Neruda Prize, she has published widely in journals and anthologies. Recently she has been writing a series of chapbooks as well as a children's book titled, BART, that tells of the adventures of a cat who wears eyeglasses. Joan I. Siegel reads from Light at Point Reyes at the Pasadena Central Library. When did you know that you would be a poet and how did you become a poet? ​***I never really “knew” I was a “poet” As a child, I liked to write down my thoughts before I went to bed. I kept a diary like Anna Frank. I never thought that my words were “poetry” until one of my teachers gave me a book of poems by Emily Dickinson that made me wish that she was my best friend. I tried to make images of words. Sometimes I’d open up a dictionary at random and just listen to the varying sounds of words. Sometimes the words sounded ”strange” when I tried to write and sometimes they sounded just right. ​What does it mean to you to be a “poet” and what do you think is the role of the poet in society? I suppose the poet’s first obligation is to observe the world around him and tell the truth. Writing poetry demands a degree of self-discipline and integrity: The would-be-poet must discipline his language and discover for himself the best use of words and images to convey what is in his heart and mind to say. Absolutely, the poet should never yield to oppression of any sort..keeping in mind those writers like the African writer, Achebe, Al-Monitor, Dosteyevsky, Solzhenitsyn, and others imprisoned for their writings. I don’t think I have a monopoly on “poetry,” because each of us has a story to tell. We can each have empathy for others. and happen again and again. ancient as the first sunrise. Yes..I have traveled to other regions of the continent and to Europe as well. I kept a journal during these travels, recording the many encounters with people whose language I could barely speak and enjoying the many serendipities I happened upon. To this day, I cherish my memory of the French/Italian family in Rome where I worked as an “Au Pair.” Sometimes I call upon my memory to re-visit my Roman sojourn. how a certain hat slants above the eye? bloomed and the grass stained your legs green? 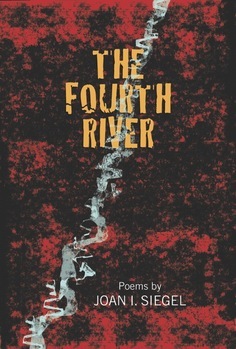 What inspired you to write the poems in The Fourth River? ​The poems gave themselves to me as I sorted through the many experiences of my sojourn abroad. How long did it take you to write the book? I took my time with the manuscript and let poems come as they would. At the end of the year (2015) I had amassed enough poems to complete the manuscript. The Fourth River, of course, is the fourth river out of Eden. In some ways, my poems flowed much like a river to me. and doomed. Excised like spoiled fruit. we found you, little sister. over your sleep. Keeps the gods at bay. I’ve been writing poetry chapbooks…digging into a store of poems sleeping in the cabinet near my desk. Joan I. Siegel and Teresa Mei Chuc at the Los Angeles Country Arboretum.